Cleans, Shines & Prevents Tarnishing in One Application. 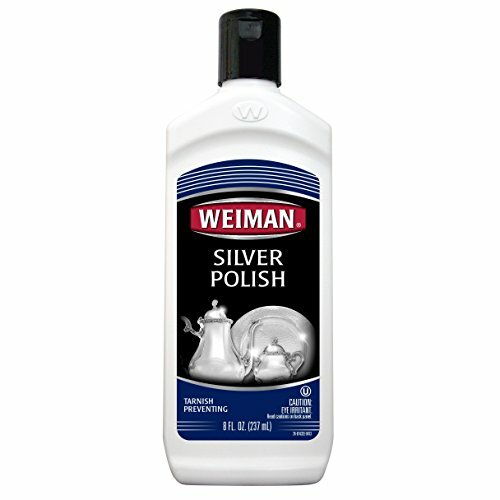 This thick rich polish gently yet thoroughly removes tarnish and polishes silver to a brilliant shine. It has a floral fragrance and does not contain harsh chemicals or ammonia, so it is safe and pleasant to use. Its unique anti-tarnish formula helps keep tarnish from returning. Safe for use on the finest and antique silver.